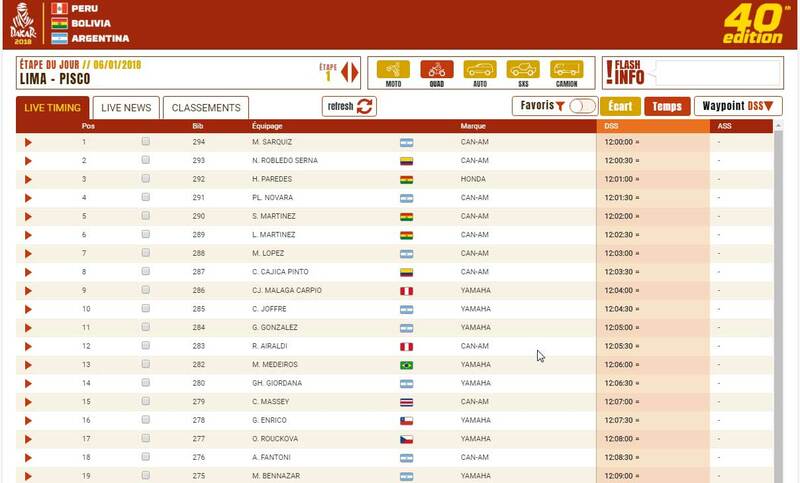 Dakar Rally TICKER: Most Side-by-Side finished the first stage! Actual leaders are the Peruvians Anibal Aliaga and Juan Pedro Cilloniz with their Polaris in 00:31:27 hours, followed by Jose Luis Pena Campo and Rafael Tornabell Cordoba from Spain (Polaris, +3:01) and Claude Fournier / Szymon Gospodarczyk (FRA/POL, Polaris, +3:23). 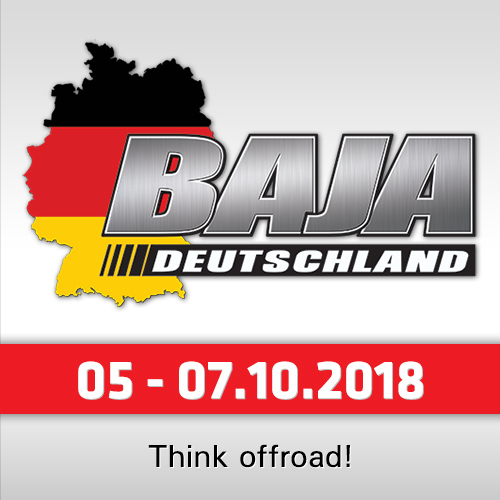 Dakar Rally TICKER: Latest informations about the German biker Jurgen Droessiger: After his accident with a car on a highway before the podium he broke his hand and is finally our of the race! 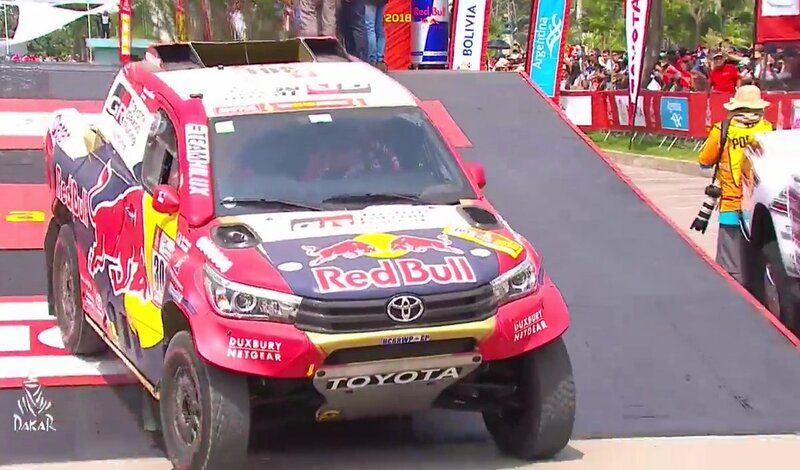 Dakar Rally TICKER: Dirk von Zitzewitz (Toyota Gazoo Navigator): "Stage was a bit difficult to handle. At km 15 the navigation was tricky. When we caught up on Carlos Sainz we knew we were to fast and backed off a little. Sixth position is a perfect starting position for tomorrow! All according to plan by now." Toyota-Pilot Lucio Alvarez reported: "I´m very happy with this start of the Dakar 2018. We had massive support from the spectators. Let´s continue this adventure!" Peugeot´s Stéphane Peterhansel was not happy with the start: ""I didn't feel comfortable with the headlights so high. I wasn't very confident, so I drove like a granny and stayed on the defensive throughout the stage. Proportionally, we lost a lot of time to Nasser. Two minutes in 30 kilometres is a lot, but we need to ease into the race, it'll work out." 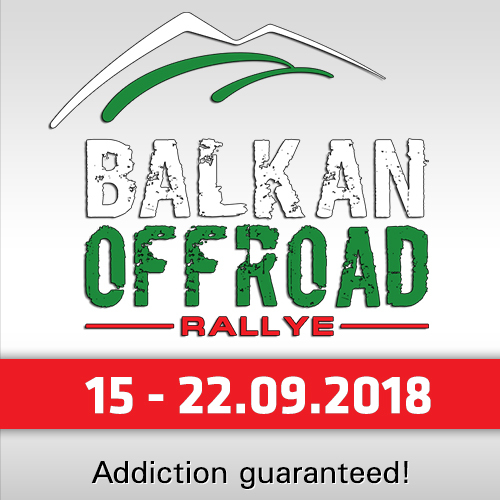 Former quad-winner Josef Machacek from Czech Republic had a bad start too, he finished 39th with 37:38 minutes delay: "The stage was not mine. On the podium I was fighting with a wesp. I did not pass one point. But the people here are incredible, everywhere spectators near the stage, maybe more than 500.000!" 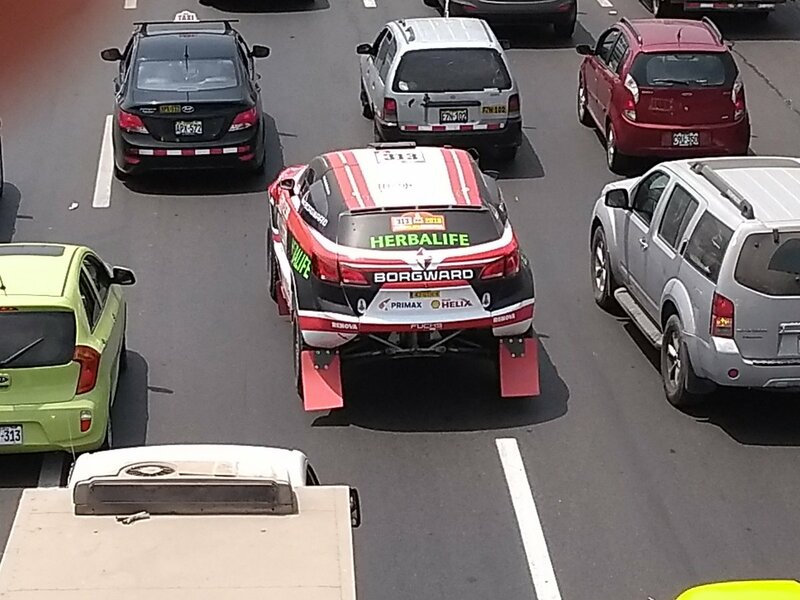 Dakar Rally TICKER: First cars finished the stage! 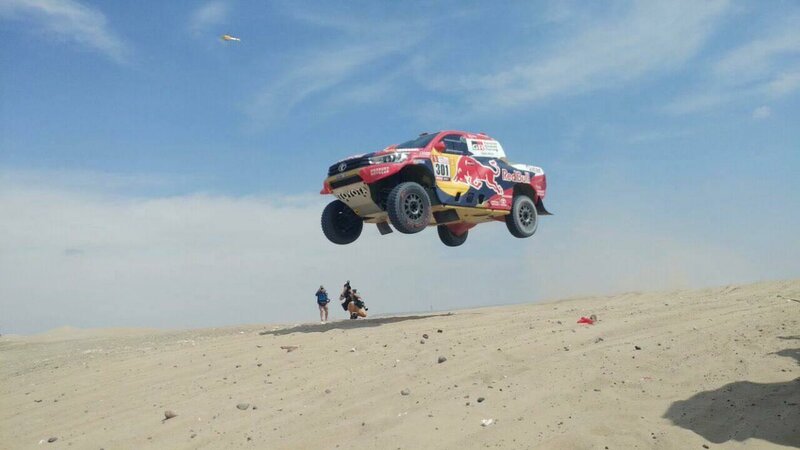 Fastest car actually was Qatari Nasser Al Attiyah with his Gazoo Toyota Hilux in 21:51 minutes in front of his teammate Bernard ten Brinke from Holland (+0:25) and Nicholas Fuchs with his Borgward (+0:34). Fastest Peugeot actually is Stéphane Peterhansel on 10th with +2:16 minutes. Dakar Rally TICKER: At 21:00 CET all bikes (except actually two because of DNF or crash) finished the first stage of the Dakar 2018, passing thousands of spectators next to the stage through the dunes near the city of Pisco. Winner of the day is Sam Sunderland (KTM) from the UK with 00:20:56 hours, followed by Adrien Van Beveren from France (Yamaha, +0:32), Pablo Quintanilla (Chile, Husqvarna, +0:55), Joan Barreda Bort from Spain (Honda, +0:56) and Xavier de Soultrait from France (Yamaha, +1:06). 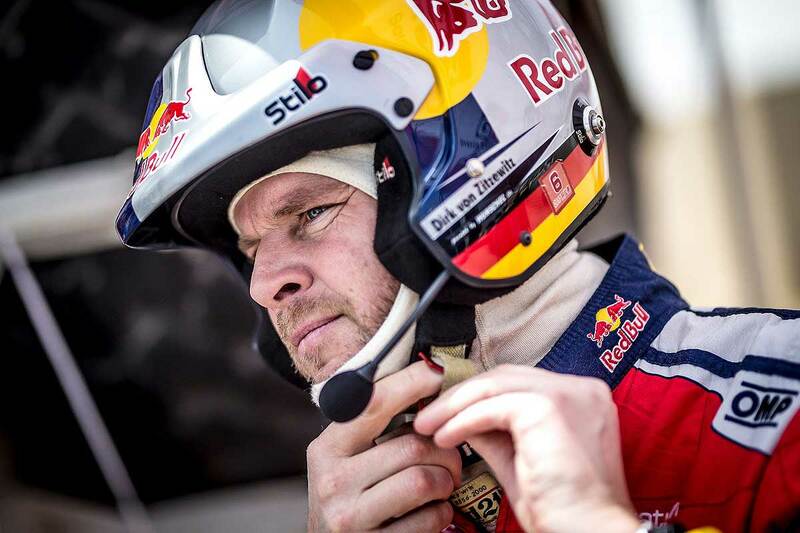 Dakar Rally TICKER: With last year´s winner Stéphane Peterhansel (Peugeot), the Qatari Nasser Al Attiyah (Toyota Hilux) and the Spaniard Nani Roma (X-raid Mini) the first cars started in the first stage. 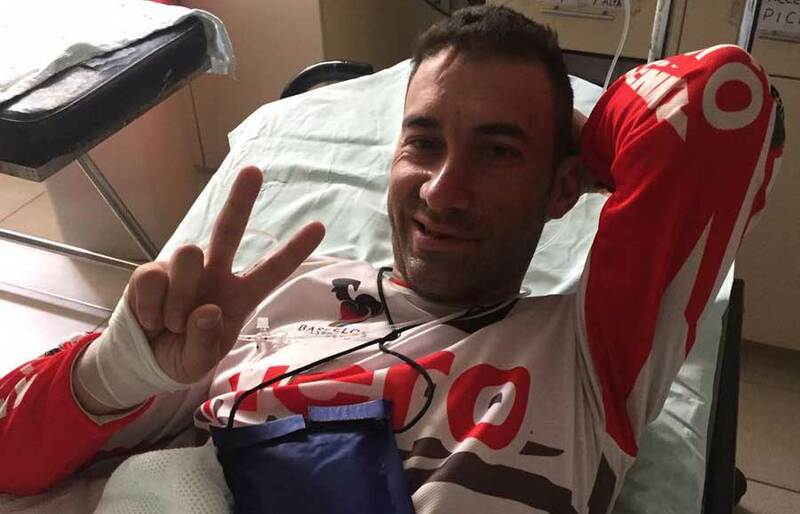 Dakar Rally TICKER: French Xavier de Soultrait, actually the leader in motorbikes, reported an accident in which they evacuated the biker Joaquím Rodríguez (Hero, Portugal) by helicopter. He fell after a high jump behind a dune. Dakar Rally TICKER: All Quads started in the race and at 20:05 CET all quad-competitors finished SS01 to the city of Pisco with 31 kms full of dunes. In the bikes we could see some competitors not at the start, also the German Jurgen Droessiger (KTM), who had an accident today on a highway, did not start until now. Dakar Rally TICKER: The Chilenian Ignacio Casale has finished today´s first stage about 31 kilometers as the fastest quad in 00:27:32 hours in front of the Russian Segej Kariakin (Yamaha, +1:00) and the Frenchman Sebastien Souday (Yamaha, +2:24). The bikes also started in the stage. Dakar Rally TICKER: Argentinian Martin Sarquiz (#294) is the first competitor to enter the (short 31kms) special of the day riding his Can-Am quad. 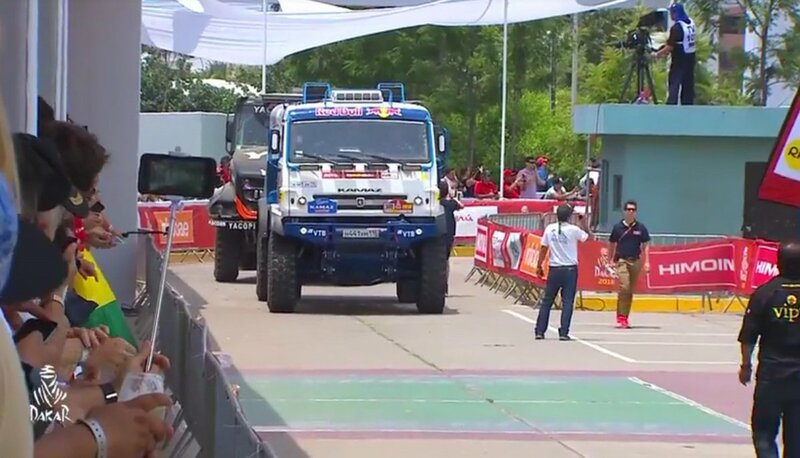 At 18:20 CET the last trucks passed the podium and all participants are now on their way to the start of SS01. 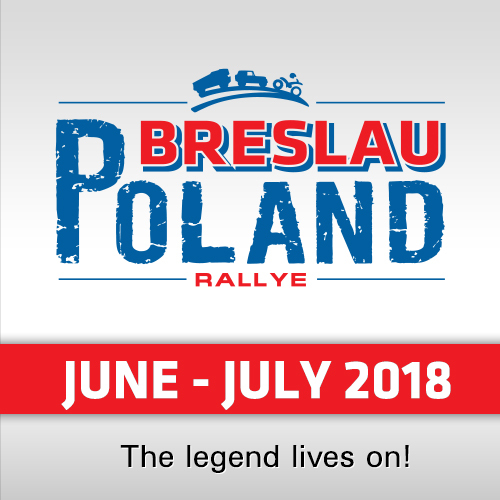 The first Quad will start at 12:00 local time, followed by the first bike at 12:32 local time, the first car at 14:20 and the first truck at 15:49 local time. The 40th edition of the Dakar Rally has begun! Actually all bikes and quads were on the podium, actually the cars and later the trucks. You can follow the start ceremony live at Facebook!